The feat has brought scientists a step closer to creating a cure for baldness. The study used cells taken from animals, but researchers hope to create human hair follicles from human stem cells within a year. Stem cells are the body’s master cells. With manipulation in the lab, they can be grown into any tissue in the human body from blood to bone and even whole organs. Although stem cells are seen as the holy grail for medicine, progress has been slow and very few treatments are widely available. However, Professor Roland Lauster at Berlin’s Technical University believes his work could be a step towards providing treatment for the 80 per cent of people who suffer from hair loss worldwide. Lauster claims the treatment – which would probably require the hair follicles to be implanted on to the head – could be available in five years. “Since 1950 the number of new chemicals used in cosmetics has risen 500—fold, and so has the need for animals to be experimented upon to ensure they are safe for humans. This could well do away with the need for them to suffer,” he was quoted as saying. 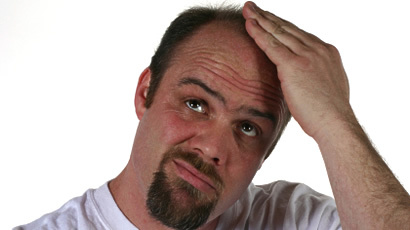 In 2004, a team from the University of Pennsylvania in the US also produced evidence that stem cell research could help prevent baldness. However, as of yet, no baldness cure has been invented. The Berlin – Brandenburg Center for Regenerative Therapies. Havlickova B, Bíró T, Mescalchin A, Tschirschmann M, Mollenkopf H, Bettermann A, Pertile P, Lauster R, Bodó E, Paus R. A human folliculoid microsphere assay for exploring epithelial- mesenchymal interactions in the human hair follicle. J Invest Dermatol. 2009 Apr;129(4):972-83. Epub 2008 Oct 16. PubMed PMID: 18923448.